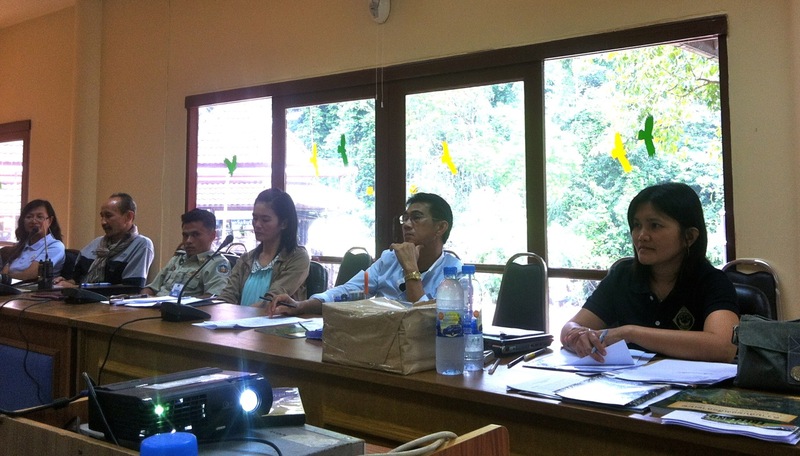 Seven local teachers volunteered their Saturday on June 30th to attend a workshop soliciting feedback and aiming to set the direction for youth nature and conservation education at Khao Yai National Park. The teachers joined FREELAND Foundation‘s education unit and five members of Khao Yai National Park’s community outreach team to discuss what’s working and how to better engage and inspire students in surrounding communities. Feedback about FREELAND’s well-honed education program and curriculum additions made under the 12-month Paws for Thought project (sponsored by the Australia-Thailand Institute and Free the Bears) was overwhelmingly positive. The workshop lasted almost three hours and resulted in 12 recommendations for further improving and expanding education efforts. These included ways to help students continue to research and contribute to wildlife conservation on a regular basis at and after school, such as through the establishment of environment clubs. Teachers were provided with Thai language materials, including illustrated books, to help support this.